The Minnesota Senate was not on the ballot this year, but given the results in the Minnesota House and that Republicans control the Senate by a single seat, it seems likely that the DFL would have won the Senate as well. Adding up the constituent House districts in each Senate district and assuming they would have gone for the party that got more House votes, the DFL would have won the Senate 36 seats to 31. That is probably too simplistic a method for these purposes though. Example: the DFL won the two House districts that makeup Senate district 25 by 2,389 votes this year. In 2016 though, Dave Senjem was re-elected by 11,284 votes while the GOP was winning the combined House races by 3,539 votes. So even with an almost 6,000 vote shift to the DFL in the House races in Senate district 25 between 2016 and 2018, Senjem would still probably have won. Following is a list of the Minnesota Senate districts that are currently controlled by the GOP but that House DFL candidates combined to get more votes than the GOP House candidates. The column labeled “2016 Sen” is the number of votes that the GOP Senate candidate won by in the 2016 election. The columns labeled “2016 House” and “2018 House” are the number of votes that the combined GOP House candidates got compared the their DFL counterparts in those years. The column labeled “House Swing” is the number of combined House votes that the DFL gained from 2016 to 2018 in that district. Right off the bat you can see that Jerry Relph and Paul Anderson would almost certainly have lost if they had been up for election this year. They both won by under 200 votes in 2016 and both of their districts swung to the DFL by thousands of votes, in the case of Paul Anderson over 7,500. Additionally, it seems likely that Dave Senjem and Jeremy Miller would have won their elections. 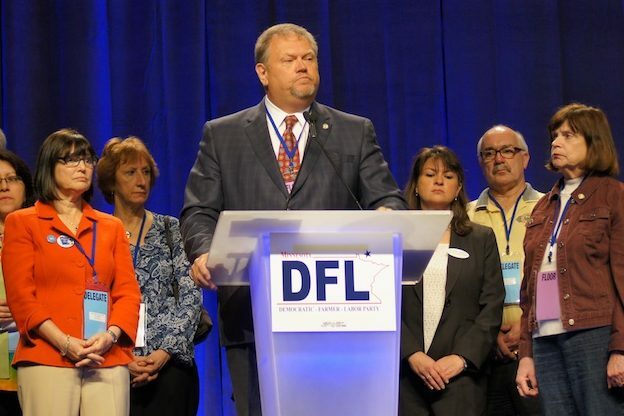 While the DFL House candidates were able to swing Senjem’s district 25 by almost 6,000 votes and Miller’s district 28 by over 7,500, both Senators won their 2016 elections by over 10,000 votes. The remaining two districts, Carla Nelson’s 26 and Dan Hall’s 56, are close enough that it’s hard to say with any level of certainty how they would have shaken out. Going by the math established so far, Dan Hall would probably have lost and Carla Nelson would probably have won. That seems a reasonable enough assumption for these purposes. That makes a grand total of three DFL Senate pickups. There’s more though, here is the same list but instead for Senate districts controlled by the DFL in which the Republican House candidates combined to get more votes than the DFL House candidates. Going by the crude method so far deployed in this post, the DFL would have held all of their Senate seats in which their House candidates lost the combined vote. Matt Little is clearly the Senate DFLs most endangered incumbent, having won his R+9 district by 387 votes in 2016. But 2018 brought a 5,319 vote swing to the DFL in the combined House candidate vote, not a thing that is likely to have caused Sen. Little any electoral challenges. Likewise, the swings in the combined House vote in districts 27 and 54 went in the DFLs direction by multiple thousands of votes, not a thing that indicates a candidate who won a Senate race under worse conditions in 2016 would have much trouble in 2018. Put it all together and the result is a 36-31 seat DFL advantage. For comparisons sake, when the DFL recaptured the Senate from the GOP in 2012 they ended up with a 39-28 seat advantage. Of course the Senate was not up for election this cycle, but if the suburbs continue to be a wasteland for the GOP in 2020 there’s little doubt the DFL will have a clear path to recapturing it.